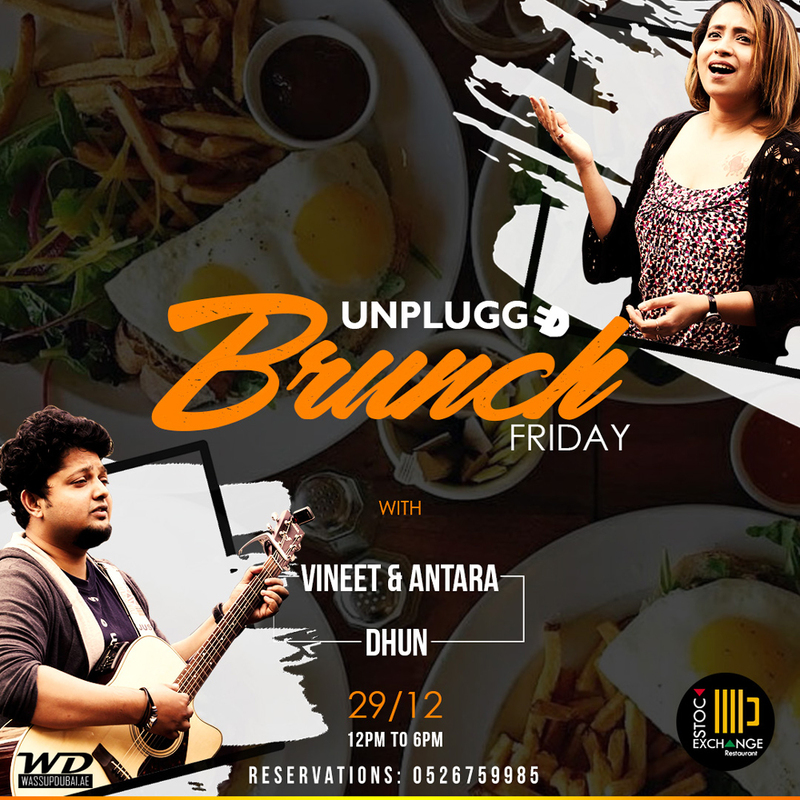 Join us for a relaxing afternoon for UNPLUGGED FRIDAY BRUNCH at Stock Exchange Restaurant (Roda Al Murooj Hotel, Downtown Dubai) with live music by "DHUN" on 29th December 29th 2017 from 12 pm to 6 pm. Featuring: Vinith & Antara. Unlimited Food & Drinks just at Aed 149. For reservations call 052 675 9985.